Shiro Samurai's Cosplay: Childhood nostalgy & dream cosplays! For a while now I've been itching to make some kind of post about characters that I really liked as a kid and that, nowadays, have a sort of "childhood dream/nostalgy cosplay" status to them! Even though I feel like I can't call many of my cosplays 'dream cosplays' I guess some of these child favorites of mine do come rather close to it. :) Many of these served as childhood heroes and as characters that I related to, admired or just simply really loved when growing up. Okay so, even though these characters listed below might be more or less vastly different from one another, they all still have something in common and that's that they were dear to me during my childhood – and that also includes early & mid teenage years. Wow, that makes me sound so old. Oh man, good ol' original Digimon Adventure. ♥ As a kid I was one of those few (?) 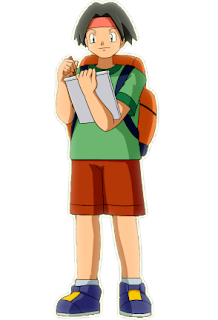 who loved Pokémon and Digimon equally, aka I never really understood the "war of copies" comparisons between them that other kids made and thus picked sides – saying that you could only like one or the other, not both. I always thought that even though both had some similarities they also had a lot of differences too! Angemon seriously stayed as one of my all-time favorite Digital Monsters (Takeru/T.K was my favorite of the original children too!) and now that I'm into cosplay I really want to do him. I can't live with myself if I don't cosplay Angemon one day. It needs to happen, period. 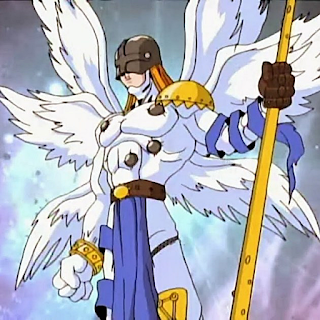 Friendly note: I know that Angemon is quite heavily inspired by Christianity but, honestly, the religious aspects of his character have nothing to do with why I like, nor want to cosplay, him. 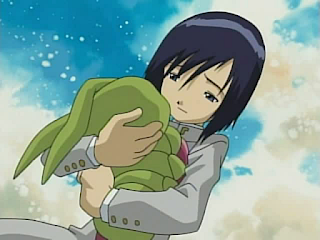 I want to cosplay at least one of the early DigiDestined (aka Chosen Children in the Japanese version) and I remember really liking Ken when I was young; I had some sort of early mancrush on him, lol. I never saw the complete second season but I rewatched it last year and when Ken finally snapped and hugged Wormmon I had a hard time keeping the tears in check – he's so precious. ;A; I hadn't seen that part of the anime before, so I had no idea that he'd actually revert back to being a good guy and, oh boy, did that dig him up from my childhood memories as one of my human favorites from Digimon! 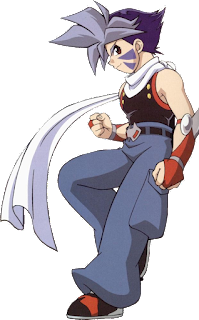 I really want to cosplay him but I'm not 100% sure of which version I'd do; I am currently leaning towards his gray school uniform though. It's pretty dang iconic. I don't remember exactly when it was, but I guess around my early teenage years I suddenly got into a Beyblade craze. The original series aired on television and I saw some random episodes during a summer vacation at dad's; I later asked dad for money and went and bought some Beyblades to play with from the local toy store. xD I remember originally liking Kai more than Ray but afterwards I started digging Ray a lot and even more so when, last year, the wonderful Satu and Päivi from Leikkipuisto encouraged me to do him! What should I say? xD We share the same name, I can relate to him in some ways and I must admit that I had a tiny mancrush for him too. :'D I just really liked him as a kid, okay? I dig his design surprisingly much too but I think one of his selling points to me was that his Bit-Beast was based on a phoenix and, well, I always had a huge fascination with birds. I also like his color scheme and I'm itching to tackle that wig because holy crud, that's gonna be one heck of a challenge! My first and original husbando, not gonna lie. I loved him so much and I still do!! InuYasha was the first manga I started collecting/reading and I own every single manga volume (in Finnish) of it; it has a special place in my heart. 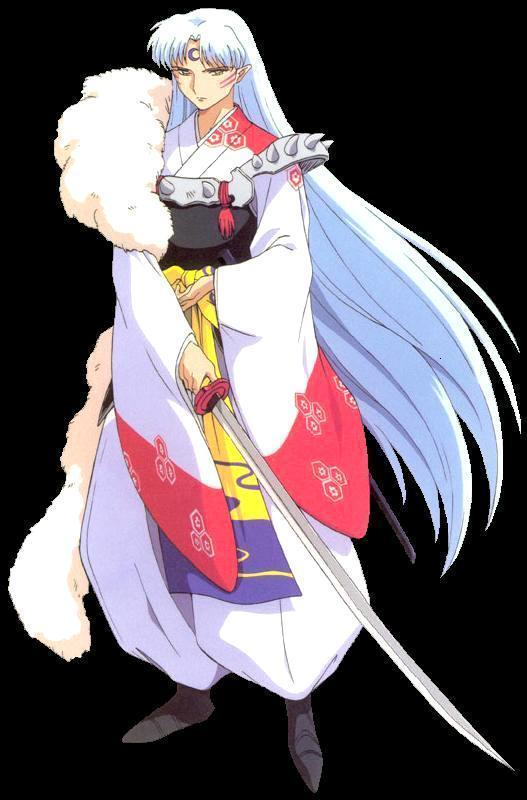 ♥ InuYasha is what really hooked me into manga and anime for good and it's one of those series that made me realize that I had been into anime & manga *coughpokémoncough* long before I knew what it was. :D So yeah, aside from being one of my long-term favorite mangas I can say that InuYasha is very likely one of the series that also led me into finding out about cosplay. 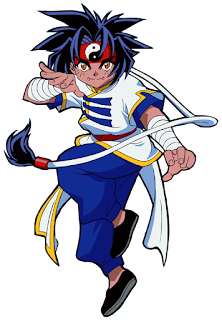 I honestly plan to cosplay a lot more characters from it but Sesshoumaru is the number one choice, by miles. I just feel like I must do him someday and I'm really relieved that I didn't decide on him as my first cosplay, lol. xD I'll do him when I feel that I can do him justice, haha. He's such a dear character to me, I don't want to mess it up. Well, contrary to Tracey, James hardly needs an introduction! 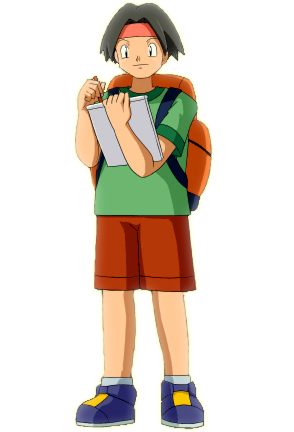 He's from the infamous Team Rocket duo who always tries to steal Ash's Pikachu or do some other mischievous shenanigans to mess up their day. The thing is that whatever they do and no matter how idiot-proof their idea might have been they will always end up... blasting off again. I remember that even as a kid I thought that Team Rocket were way too predictable and annoying because you knew they'd always fail! But nevertheless I liked their silly tries and even sillier costumes they'd wear to try to fool Ash and his gang; sometimes they went to great lengths just to get that damn Pikachu and it just makes me wonder why they even bother when Pikachu is not even a rare Pokémon to begin with, lol. But yeah, even though I did find Team Rocket mildly annoying I still always, somehow, liked James. Something about him that I can't put my finger on was interesting – maybe because he could be so goofy and fabulous at the same time. It was hard to dislike him! In honor because it's my dad's birthday today I have to uncover this secret dream! My dad got me into Rölli when I was really really young and this funny little troll (although it has been said officially that he's not actually a troll) stayed with me all my life – I still listen to the songs and I own the movies! The movies actually make me cry, no regrets. 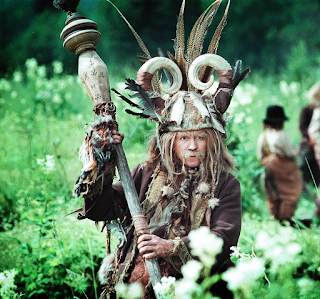 Non-Finnish readers probably have no idea what I'm going on about because Rölli is an old Finnish classic television program aimed for children (read more about it here) but it's so quirky and entertaining that even adults love it, including my dad. ♥ The show does teach you a lot about important matters and in a funny way too, so that even kids can understand and relate to more adult problems etc. Dad always called me "rölli" as a kid and he still does it, lol. I actually have plans on Jolei and other digimons such as Garudamon and yes .x) Also Mariah form Beyblade! I love her, these my some of my dream cosplays!